Named for the English city from which they originally hail, Yorkshire Terriers were used in the nineteenth century to catch rats and other small rodents in clothing mills. Surprisingly enough, in its beginnings, the Yorkie belonged to the working class, especially the weavers; in fact, facetious comments were often made about how the dogs’ fine, silky coats were the ultimate product of the looms. Eventually, the breed left the workforce and became a companion animal to families of European high society. 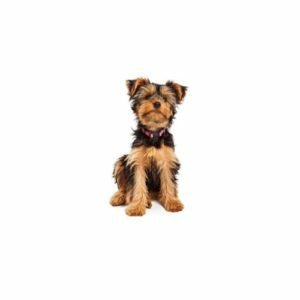 Yorkies are easily adaptable to all surroundings and because of that, they travel well and make suitable pets for many homes. Due to their small size, they require limited exercise, but need daily interaction with their people. Their long coat requires regular brushing. The Yorkie does better around older children that won’t pull or yank on them. They tend to bond with one person, therefore extra socialization is needed in a family environment.